Our range of products include Valve Trims such as Ball Valve Trims, Stainless Steel Ball Valve Trims, Metal Ball Valve Trims, Butterfly Valve Trims and Ball Valve Internal Trim. 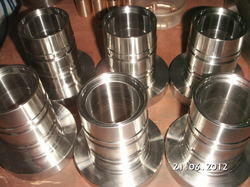 We are one of the leading manufacturers and suppliers of Stainless Steel Ball Valve Trims. The offered stainless steel ball valve trims are specially designed valve parts which are commonly used for facilitating the liquid pressure regulation. Our offered stainless steel ball valve trims are highly acclaimed and liked, owing to the corrosion resistance and accurate dimensions. We are one the well-known manufacturers and suppliers of Butterfly Valve Trims. The offered butterfly valve trims are widely used for regulating and isolating the flow of liquids, in pipelines. Our supplied butterfly valve trims are acclaimed for inducing, instant pressure drop in the fluid flow. The offered butterfly valve trims are available at very cost effective market selling rates. We would like to introduce our self as manufactures of Ball Valve Trims for Petroleum and Gas Valves internal parts like Seat ring ,Ball,Stem etc., with/without special coating in all special material as per cutomer drawings and requirements with good quality and reasonable price. 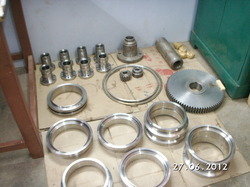 Looking for Valve Trims ?